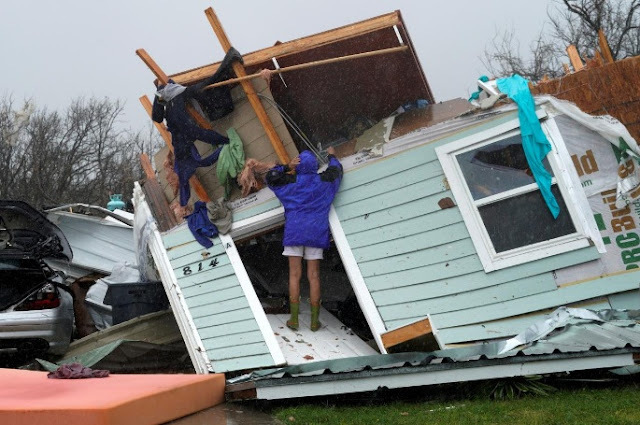 FILE PHOTO: A woman uses a coat hanger to try and retrieve an item from a destroyed house after Hurricane Harvey struck Fulton, Texas, August 26, 2017. 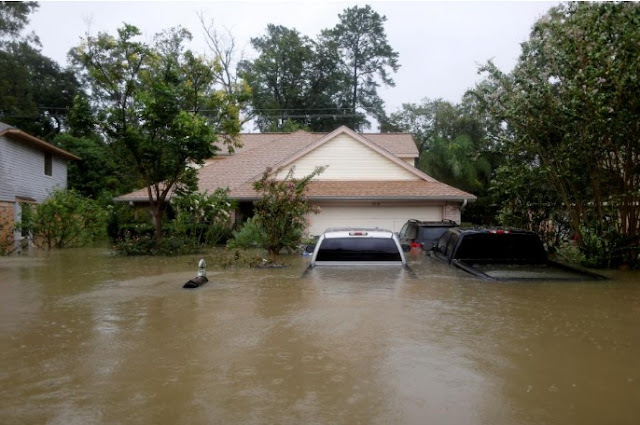 WASHINGTON - Krassi Nikov evacuated his home in Houston on Tuesday with more than 2 feet (61 cm) of water inside. Flooded for the second time this year, he plans to collect on his flood insurance again and rebuild. But the future of the flood insurance program that Nikov, 63, and other property owners in vulnerable U.S. areas depend on rests with the U.S. Congress. Congress will soon be asked to renew the government-run National Flood Insurance Program that expires at the end of September. While a simple extension of the current program has wide bipartisan support, some lawmakers are calling for broad reform. Republican proponents of reform want private companies to write policies. This would result in premium prices that more accurately reflect the risk, they say. Additionally, they want the U.S. government to stop charging the program interest and the savings to be used for flood mitigation. That could set up a difficult battle. Conservatives have voiced concerns that the insurance program has about $25 billion of debt, while Democrats say the Republicans’ plan to allow private-market plans would be more expensive for homeowners. A bipartisan group of lawmakers from coastal states including Senators Elizabeth Warren, Democrat of Massachusetts, and Marco Rubio, Republican of Florida, have been pushing for reforms to the program. The last NFIP reauthorization passed in 2012. It has been reauthorized 17 times and allowed to lapse just four times since it was created in 1968. Many lobbyists believe Congress is unlikely to attempt sweeping reform of the program before it expires at the end of September, given the already busy legislative schedule that includes approving funding to avoid a government shutdown and raising the debt ceiling. Instead, most expect Congress to simply pass a short-term extension of the flood insurance program ranging from three months to a year. Leaders in Congress are weighing whether to attach it another piece of legislation such as a continuing resolution that would fund the government, according to several lobbyists following the issue. House Speaker Paul Ryan’s office said it was confident the flood insurance program will be reauthorized. FILE PHOTO: A military helicopter flies over a destroyed house after Hurricane Harvey struck in Rockport, Texas, August 26, 2017. U.S. Representative Jeb Hensarling, who chairs the House Financial Services Committee, said in a Bloomberg television interview on Monday that he hopes his package of reforms could gain full approval before the end of next month. But a business lobbyist who consults for many large American companies and who follows the issue closely said when Congress left for the August recess, Hensarling lacked the support to get his package passed by the House. “I don’t think they’re at the point now where they have the votes,” the lobbyist said. 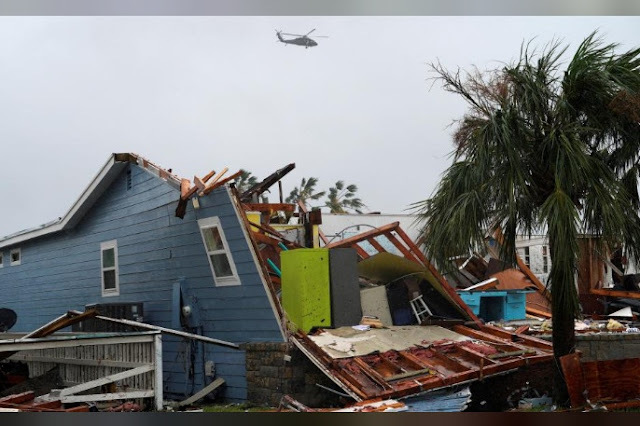 He added that trying to overhaul the program would be a distraction for federal emergency officials and the flood insurance program. FILE PHOTO: Houses and cars are seen partially submerged by flood waters from tropical storm Harvey in east Houston, Texas, U.S., August 28, 2017. “Even if there was a package of reforms ready to go, (the agencies) are not going to have the bandwidth to deal with some kind of reform package,” he said. That said, several lobbyists said business is speaking with a unified voice that letting the program expire would be detrimental. Jerry Howard, head of the National Home Builders Association, said the group has endorsed Hensarling’s package and is hopeful the bills will pass quickly. “But I think the more likely scenario is that we do a short term extension and continue to negotiate about a long-term extension,” he said. Howard points to problems in the Senate where there is far less consensus on reauthorization legislation. Emily Naden, with the Building Owners and Managers Association, which in Houston alone represents owners and managers of 312 million square feet of office space and 43,000 jobs, said the organization has been pushing for reforms, but must prioritize avoiding a lapse in coverage. “For us, we absolutely need the program to be re-upped without a lapse – a lapse is incredibly detrimental to all of our policy members,” she said.